Given all the hot weather recently, you may be looking out on a lawn that resembles coconut matting rather than grass, but in those areas where rain has been falling, the grass is growing as fast as ever. The lawn is part and parcel of most gardens: a place to play or sit and relax after work. Whatever you use it for, the lawn is important but is also one of the most troublesome parts of the garden. We get more questions about lawn problems than any other feature in the garden. Follow simple tips like feeding the lawn in spring to help it recover from the winter, treat weeds as they occur rather than letting them become a problem and mow regularly with a good mower. You can repeat both the feeding and weed treatment in summer then apply an appropriate autumn feed which is balanced to toughen the grass plants ready to face another winter. During very dry weather, either stop mowing altogether or leave the blades on a high setting so the leaves shade the roots and reduce water loss. Cutting the grass short leaves it vulnerable to scorch and drying out, although it will usually recover quickly once it rains again. Your mower needs attention between cuts to make sure it works well. Clean the blades and oil moving parts for a smooth cutting action. Older blades may need sharpening or replacing if they begin to chew the grass, rather than cut it cleanly. New mowers have been designed to make this a simple process, but do be aware that with mowers, like so much else in life, you get what you pay for and the old adage “Buy cheap, buy twice” is as true here as anywhere else. An expensive mower, well maintained, will last 20+ years whereas a £50 special from a discount supermarket may only last two years. Companies like Stihl will proudly tell you that their customers become very loyal and send in photos of mowers that are still in use after 30 years. As a business plan, this may not generate repeat sales very quickly, but these customers are happy to recommend the company to friends and neighbours who do buy the products. They operate through a network of dealers for their larger equipment, so you can talk through the operation of the machine as you buy and leave knowing you can use it safely. New mowers are being designed to fold away for storage and come in a range of sizes to suit every garden. 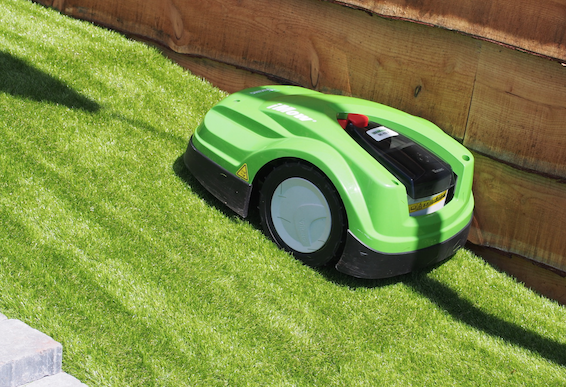 Battery life is so good that cable mowers are becoming a thing of the past, making it both easier and safer to cut the lawn without a cable trailing behind you. A lot of batteries also fit into other equipment, like hedge cutters and strimmers, so you can keep the whole garden looking neat without losing space to storage. Robotic mowers are becoming more popular and the price is coming down. These are perfect for working homes, where you want to come home and sit in a tidy garden without having to work on it first. They give a lovely neat finish to the lawn by constantly trimming off tiny amounts of grass that goes back down to nourish the roots, but they can’t deliver a traditional striped finish - yet.